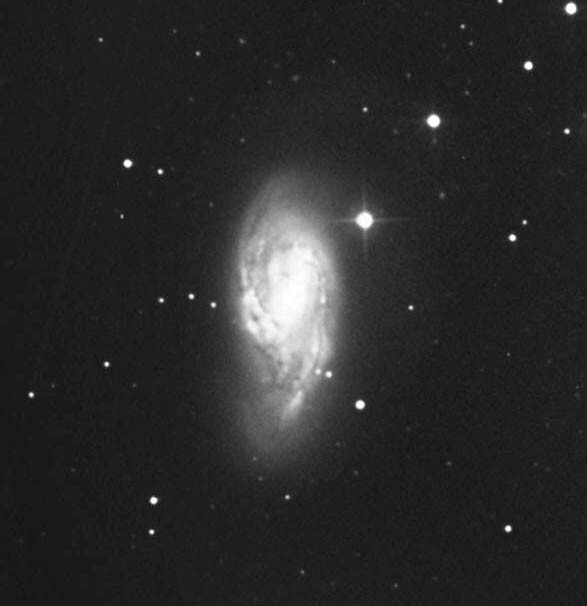 John Sefick's images of M66, taken with a 25-inch Newton and a ST-6 CCD camera. 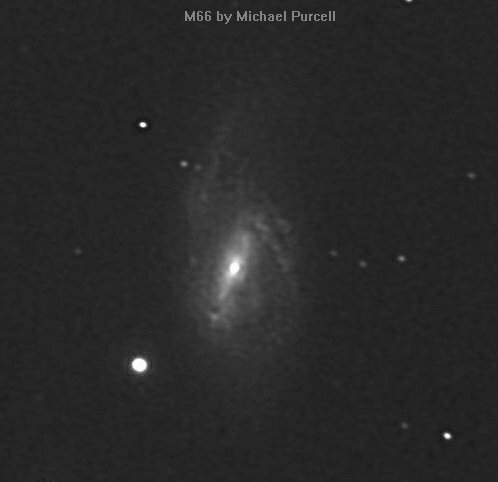 Martin Germano took this shot of spiral galaxy M66 in Leo. 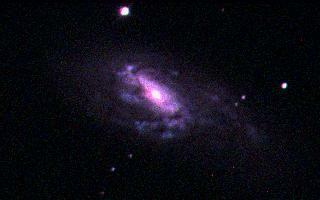 This photograph was taken with a 14.5-inch f/5 Newtonian, exposed 75 minutes on hypered TP 2415 film from Kodak. The image is a part of a larger photo; Martin also extracted an image of M65 from the same negative. 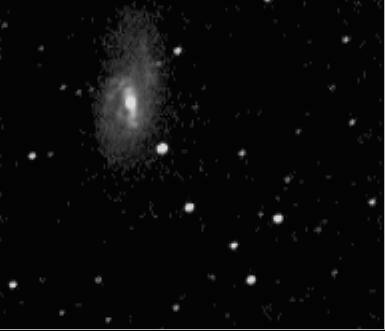 Michael Purcell's image of spiral galaxy M66 in Leo Triplet, taken on December 29, 1995 at 04:26 with his Meade 10-inch f/6.3 SC Telescope and a ST7 CCD camera, exposed 5 minutes.